Thought Peek: #ExceedYourself and join the 1st-ever #ActiveHealthRunner'sSummit! #ExceedYourself and join the 1st-ever #ActiveHealthRunner'sSummit! Planning on running longer distances or want to get better into running? 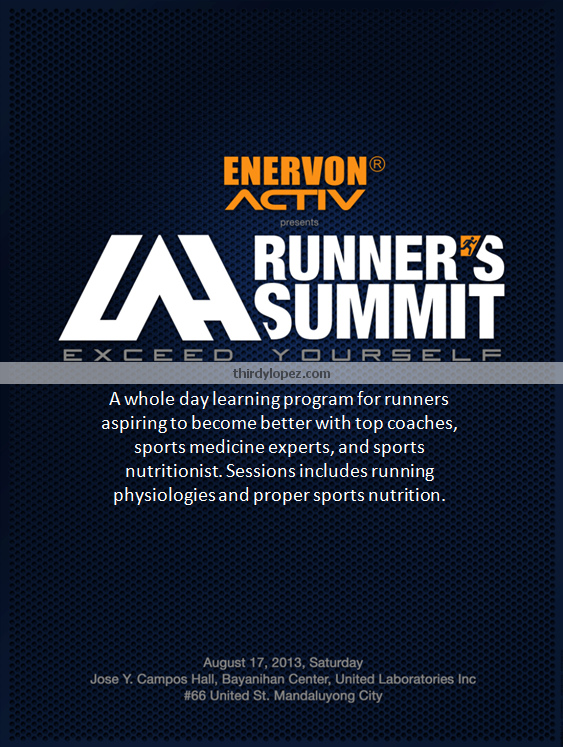 #ExceedYourself and join the 1st-ever #ActiveHealthRunner'sSummit! Watch out for the registration details.